What is “confessional Lutheranism?” It is “catholic” but not Roman Catholic. It is “evangelical” but not part of the pop-Christian movement known as Evangelicalism. Confessional Lutheranism is interested in living out the faith of the church throughout the ages (catholic) in a purely Gospel centered (evangelical) manner. We believe sinners like us are saved by grace alone through faith alone on account of Christ alone. We also believe that faith is never alone since it produces love, and that grace is never alone because it always comes to us in the means of grace (preached Gospel, administered sacraments). We believe the Bible is inspired by God the Holy Spirit and is without error. The Bible is the only truth source that is without error. But we who read the Bible are very capable of error! So we need help as we read it. That help comes from the holy Christian church to which Christ has committed Himself (Matthew 28:20). Confessional Lutheranism understands itself as historic Christian faith and life, nothing less, nothing more. As the centuries of church history have moved along, various questions have arisen. 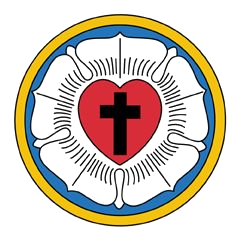 The Lutheran Confessions are a set of documents that set forth Biblical answers to those questions. The Confessions also seek to demonstrate that these answers interpret Holy Scripture the same way the ancient creeds, councils and fathers of the church faithfully interpreted them throughout the church’s first seven centuries or so. Churches that make a point of being “confessional” or that wish to live out “historic Christianity” want to align both their teaching and their practice with that of the whole church throughout all time and in all places. They are very uncomfortable with teaching or doing something novel. They have a healthy distrust of their own private judgement and of the spirit of the age. Good Shepherd is such a church. We actively teach the faith of the Lutheran Confessions, the church fathers and councils, etc., reading the Bible through that lens rather than through some other lens such as pious experience, human reason, or marketing data! Any one who claims to read the Bible through no lens at all is kidding himself and failing to take his own sinful nature seriously enough! The best lens is the lens of that church to which Jesus has said, “I will be with you always.” This church is, as Scripture puts it, “the pillar and foundation of the truth.” (1 Timothy 3:15). Jesus Christ, the Son of God, came to give you the life of God, the forgiveness of sin, victory over hell and Satan and the wrath of God. Jesus died for you. Jesus lives in His church for you. Jesus invites you to be found by Him, in Him, in a church where He is preaching, washing, forgiving, and feeding His people.